After our little art "break" during PARCC testing (we did some weaving... very relaxing), fourth grade is back to working on their color wheel lizards. 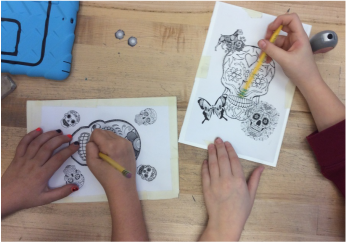 Students are drawing black and white detailed backgrounds for their lizards. Many are landscapes, but some have chosen to think outside the box a bit more! The lizard itself will actually be a hole cut from the background paper. That hole will reveal the color wheel they created in watercolor. To add details to the lizard, we use a clear plastic sheet adhered to the back of the background paper so that students can give their lizards eyes, texture, etc. Stay Tuned to see the final results! As the 2nd Trimester wraps up, so does the big 4th grade project. 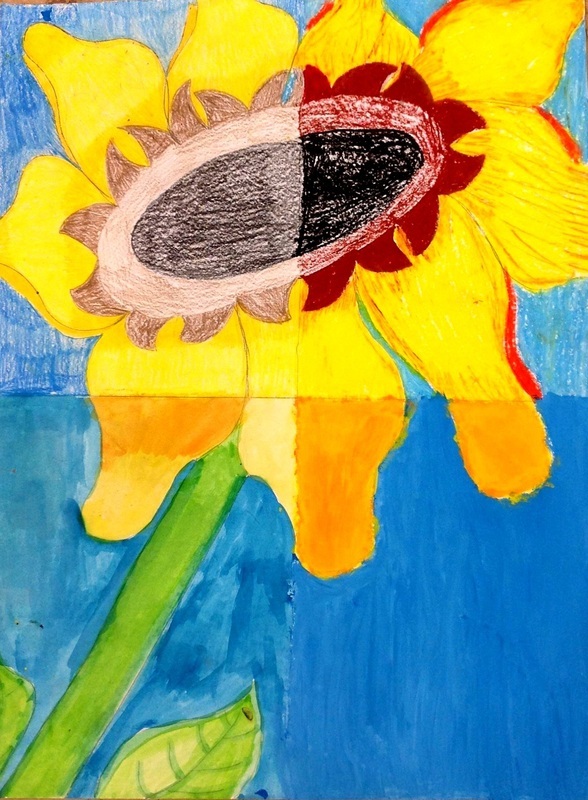 We take 4 different art mediums and apply them to one image, in this case, a sunflower. 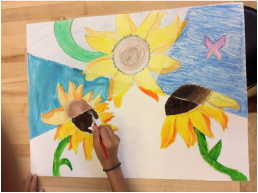 The students learn about how to shade and blend the colors with each other to create a more dynamic drawing/painting by adding depth. 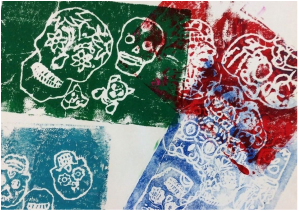 4th Grade has been working with technology to create a composition for their printmaking project. 1. 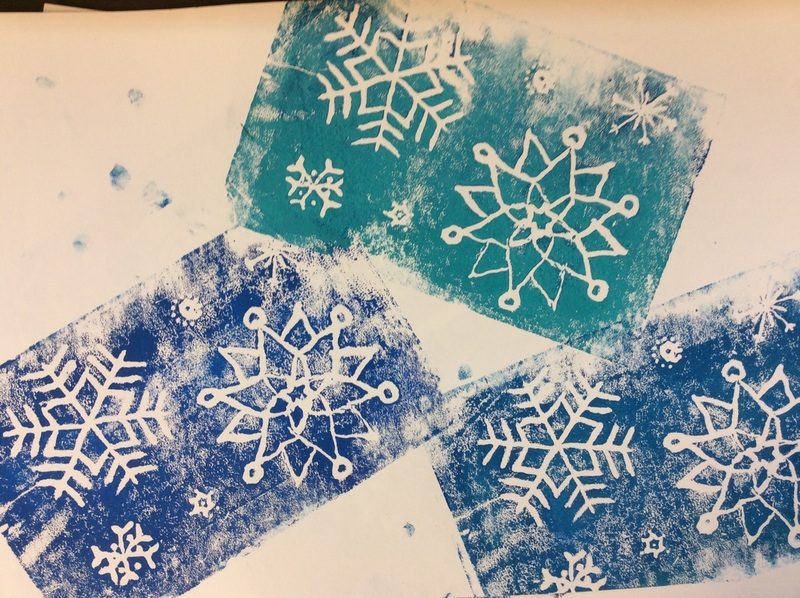 We used basic image searching on the internet to research and save snowflake pictures. 2. 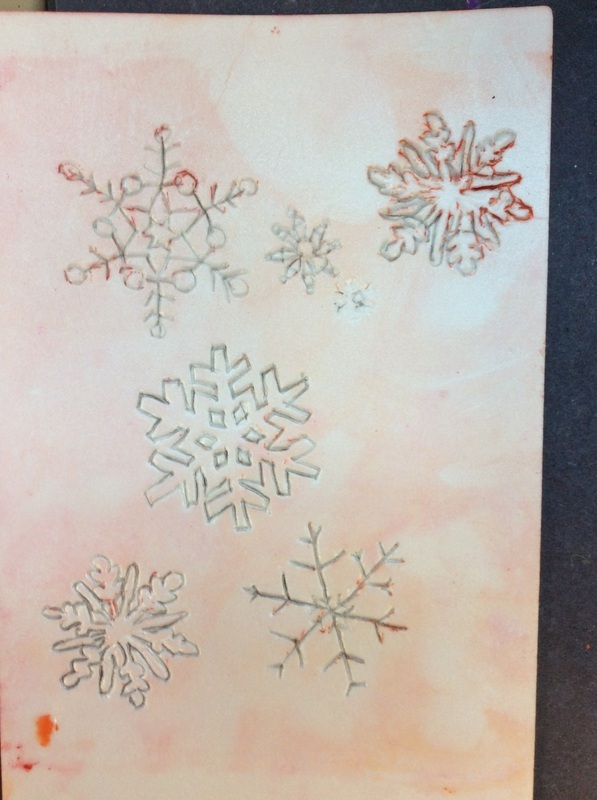 We used the app Superimpose to eliminate the backgrounds to all our images so that only the snowflakes remained. 3. 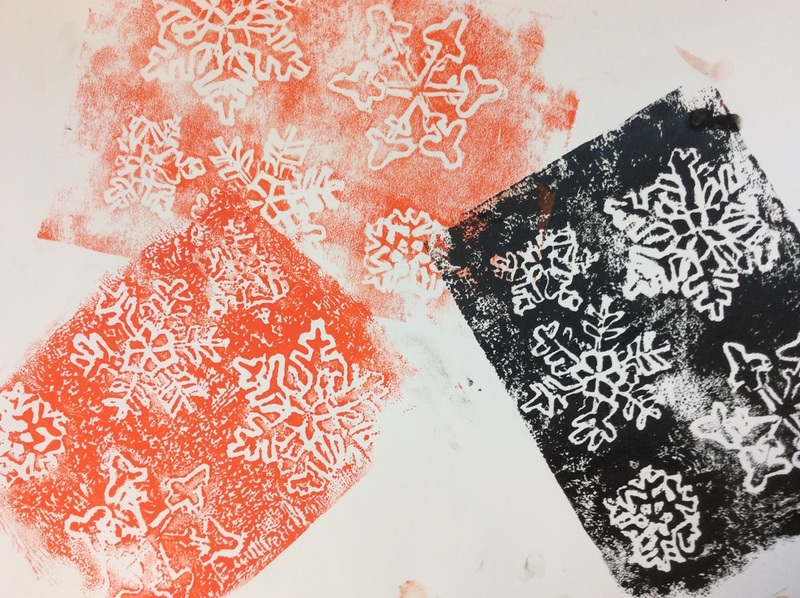 We used the app Sketchbook Pro to learn layers and create a composition with some of the snowflakes. 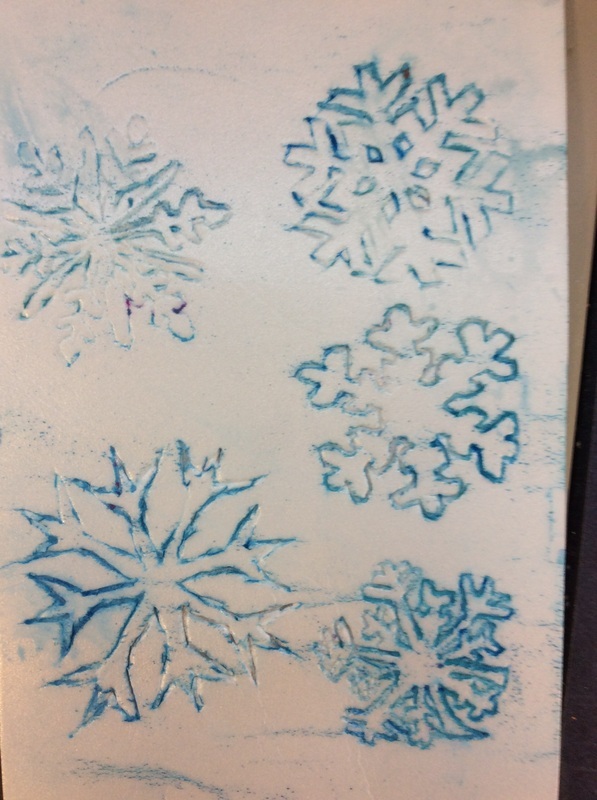 Students learned how to enlarge/shrink/rotate the snowflakes. We discussed what a 'good' composition would look like. 4. Students shared their final designs with me using AirDrop and I printed them out. 5. 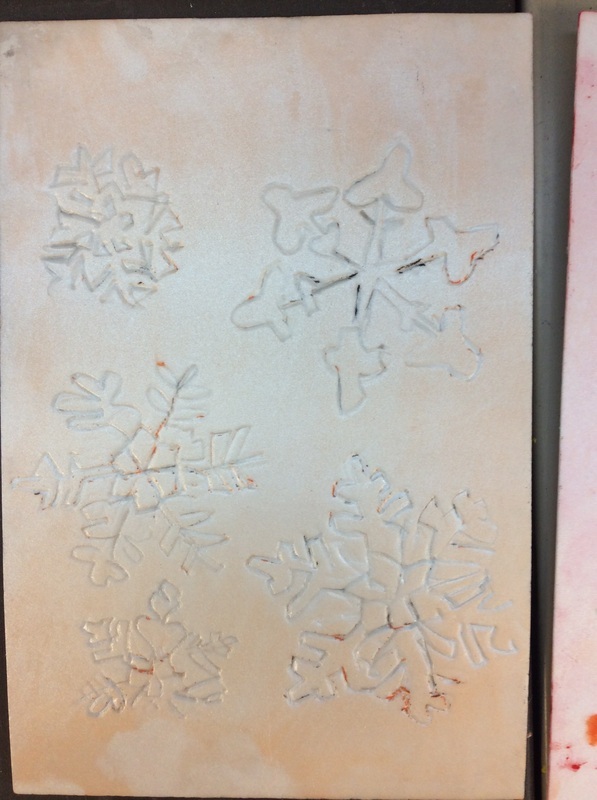 Students taped their designs onto their carving foam and traced their snowflakes by pressing hard with a sharp pencil. This is how the design carves into the foam. Here are a couple of great at home arts and crafts the kids can keep busy with over Thanksgiving. Age levels vary and you can always change up the materials to use what you have on hand. 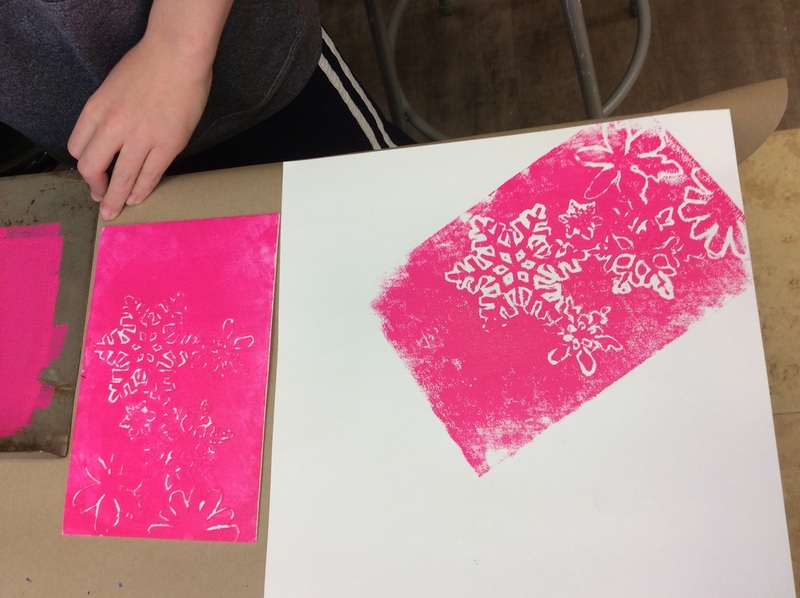 We've been working hard in Mr. Henneberry's art class to try and squeeze as much in as possible before the end of the trimester. 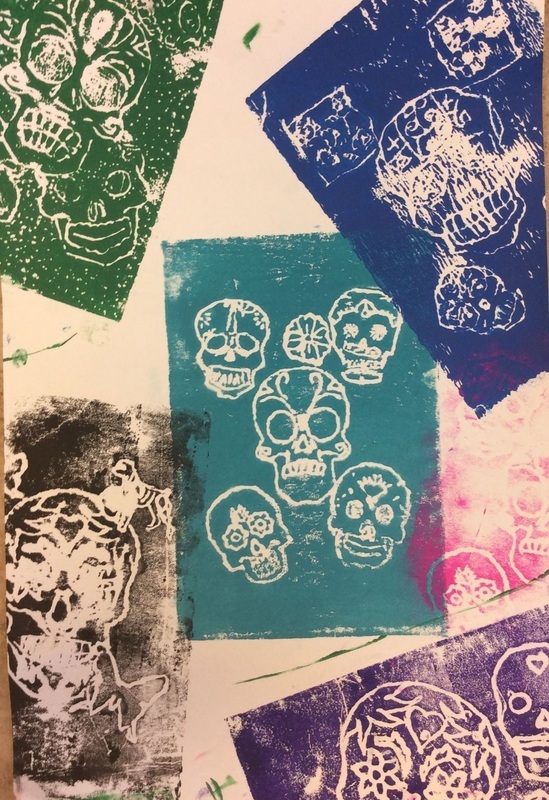 We finished our Day of the Dead prints just in time for the holiday last week and we also created some slab built vessels in clay. Stay tuned for pictures of the last few projects. 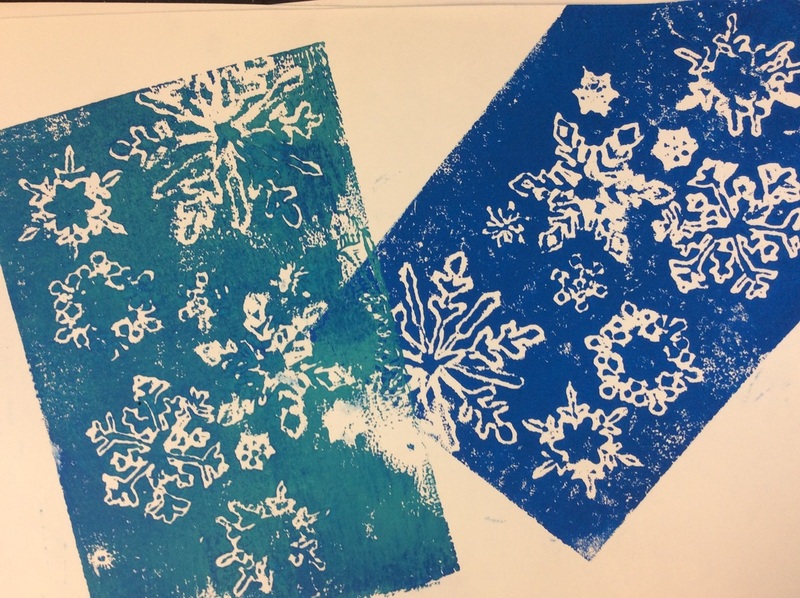 Today, 4th grade transferred their designs onto their styrofoam printing plates by tracing hard over their designs with a pencil. 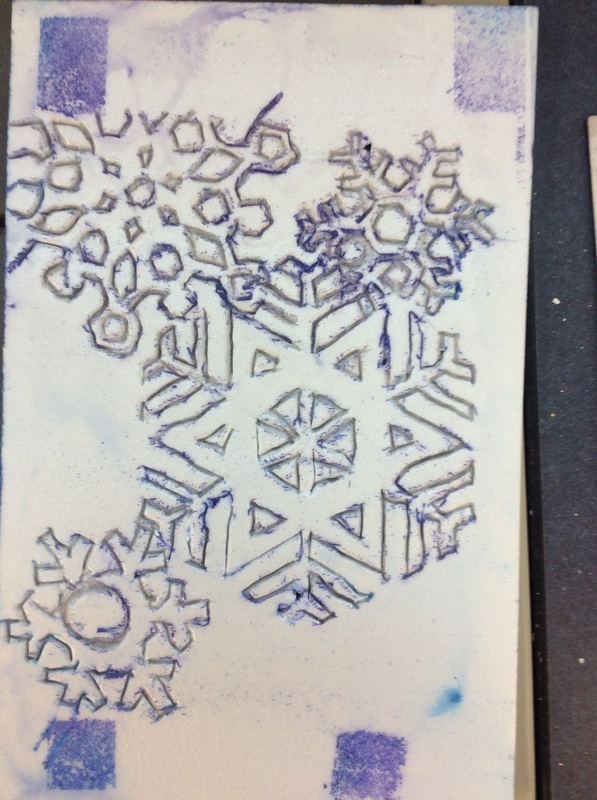 They are engraving their designs into the plate. 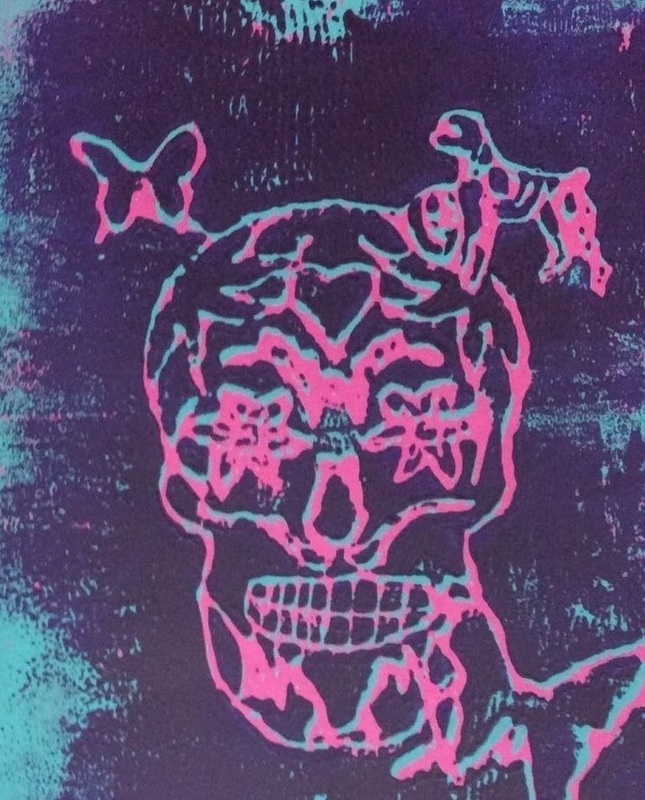 Next week will we will be printing them with ink and brayers! 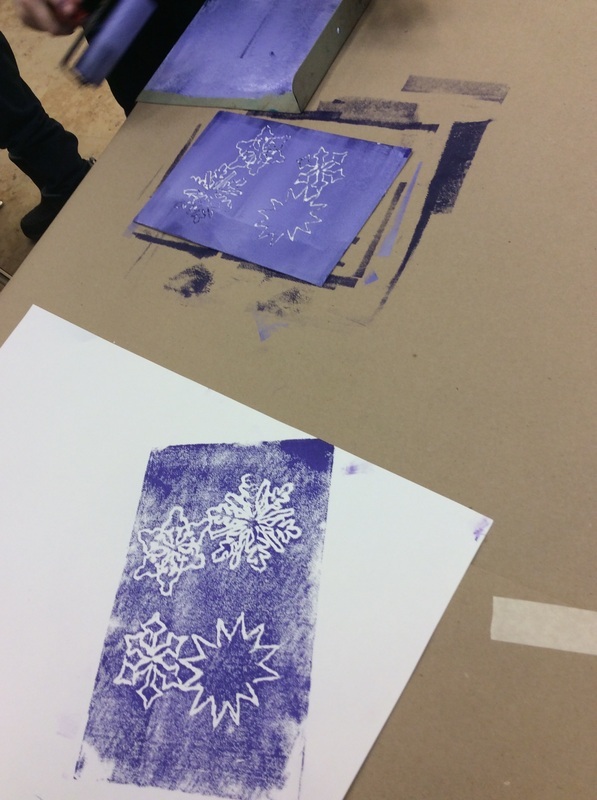 Mr. Henneberry's class is in the middle of their printmaking unit. 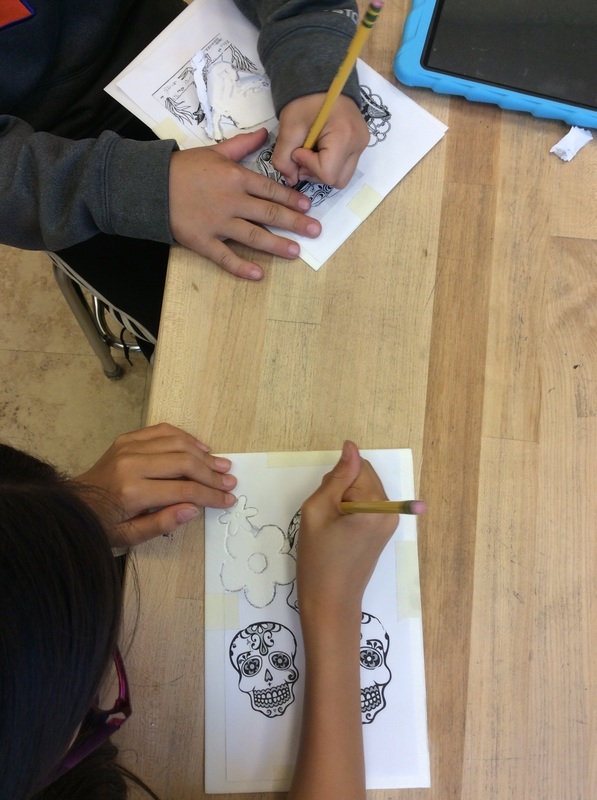 They have spent the last week creating a composition using classic Day of the Dead imagery... skulls adorned with flowers and designs. We used their iPads to access, save and import their found images into the Sketchbook Pro app. Students learned about layers and resizing their images in the app. Think about it as a simple version of photoshop. 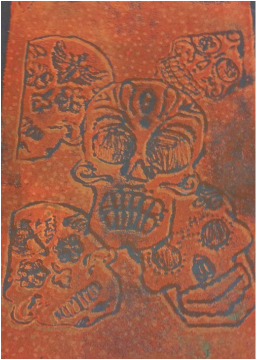 The next step to the process is to print the completed compositions and transfer them onto their styrofoam printing plates. 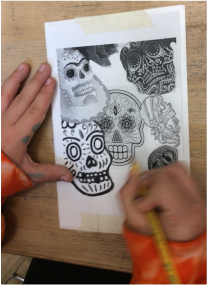 They will use a semi-sharp pencil to carve in their designs tracing directly over their printed image on top of the styrofoam. 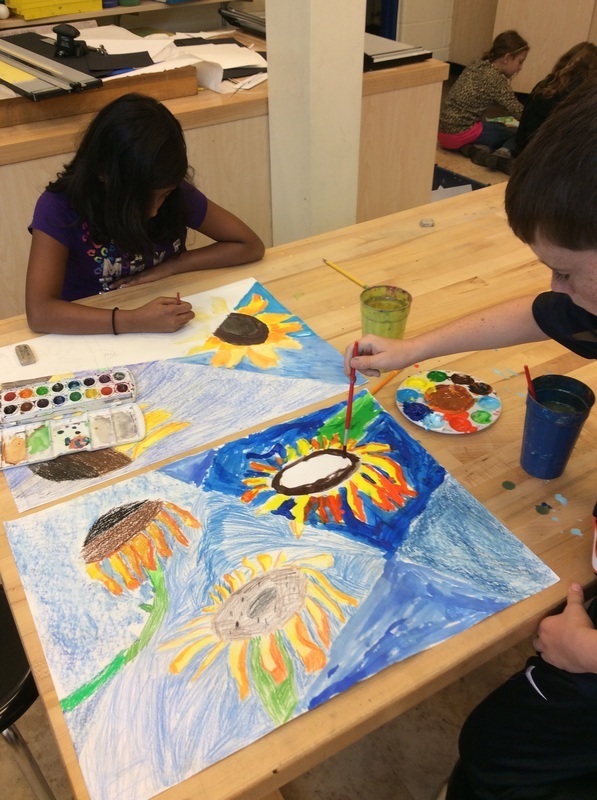 Mr. Henneberry's class is creating large (18 x 24") drawings/paintings using 4 different kinds of art tools. 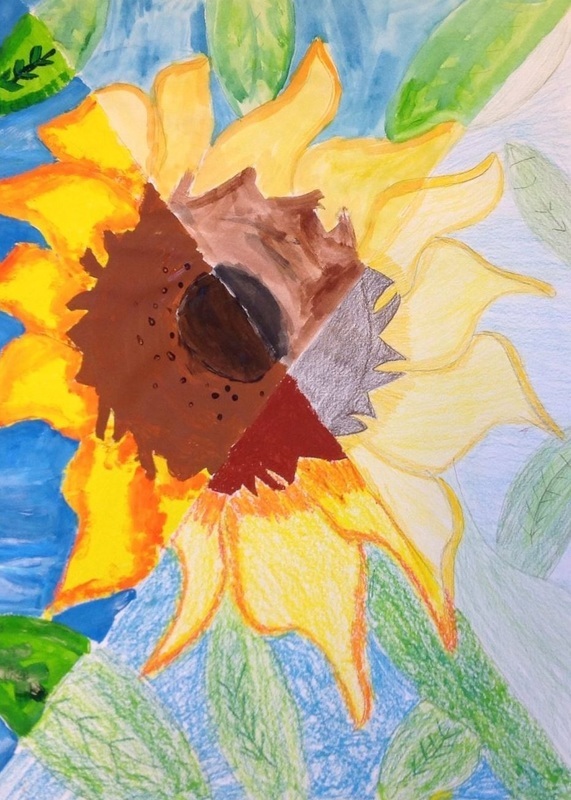 Students first learned how to draw sunflowers from many different angles. 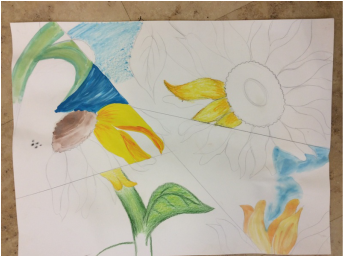 Then we drew those different angles onto the large paper lightly adding stems and leaves also. Next, students took a ruler and divided the drawing up into 4-6 sections using straight lines. Each section will be colored differently with the varying art media. This week, we will put the finishing touches on our paintings and upload the images to Artsonia. I will post a couple examples on here as well. Welcome back to a new year and a new art website. 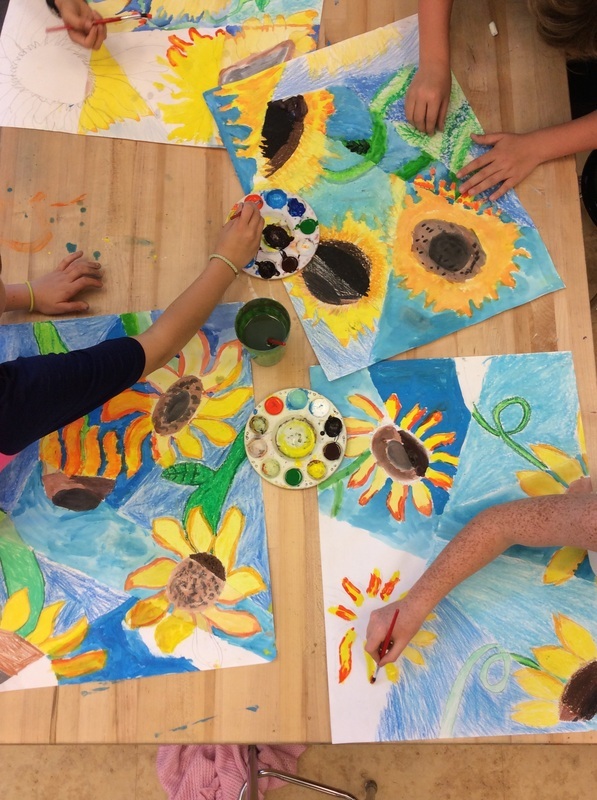 We are very excited to update you weekly about what is going on in the 4th grade art room! 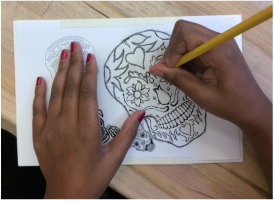 We are going to update you not only when projects are finished, but we are going to give you the inside scoop on what steps the students take to get to their final products. REMINDER: make sure you check your email for Artsonia emails. 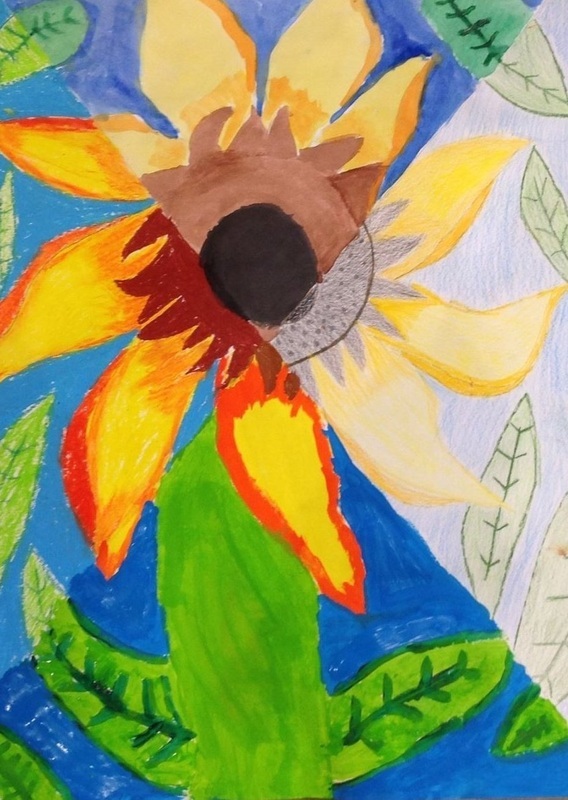 There are some of you that still haven't approved Artsonia to post your child's artwork. (Check your SPAM folders or TRASH) Remember it is anonymous, only first names and last initials are posted. 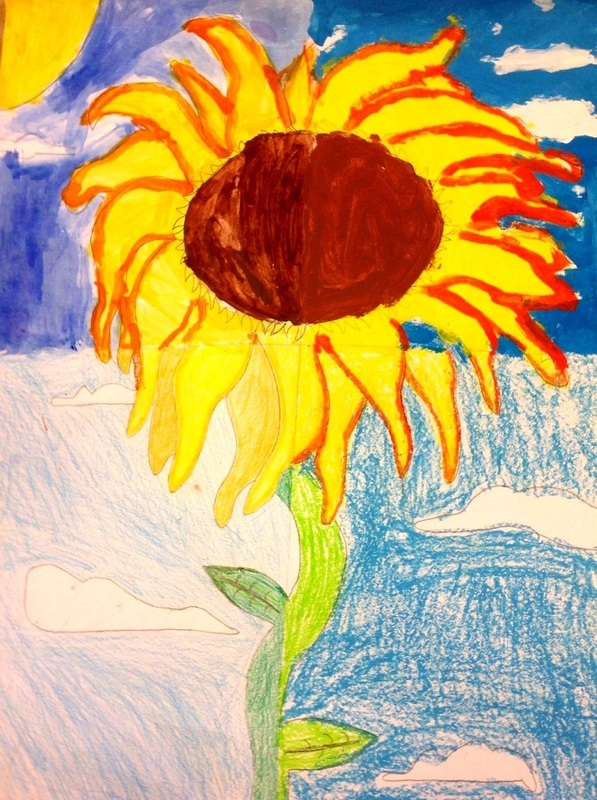 Having your child's art posted allows you and other friends and family to view and comment on their fabulous art!